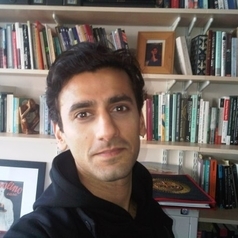 Dr Nasar Meer is a Reader in Comparative Social Policy Citizenship at Strathclyde University and a Royal Society of Edinburgh Research Fellow (2014-2019). During 2013 he was a Minda de Gunzberg Fellow at Harvard University, a Visiting Fellow with the Institute for Advanced Studies in the Humanities (IASH) at the University of Edinburgh, and a member of the British Council's Outreach Program. In 2014 he was elected to the Royal Society of Edinburgh's Young Academy. Nasar’s research spans a number of topics. Firstly, with respect to his over-arching study of citizenship, he is especially interested in arenas of political participation, education policies, approaches to anti-discrimination, public and media representation, and the ways in which collective membership is conceived and operationalised. Secondly, he is engaged in a European reading of the African-American scholar W. E. B. Du Bois, and the relationship between his concept of 'double consciousness' and ideas of recognition and misrecognition. Thirdly, he is studying developing international legal frameworks concerning the status of former political elites (and is working on a monograph on this topic Palgrave). Fourthly, he is researching the sociology and politics of racism, Antisemitism and Islamophobia. Fifthly, he is interested in the relationship of journalism to ‘public intellectualism’, and, finally, he is completing a study of Scottish Nationalism and ethnic minorities.